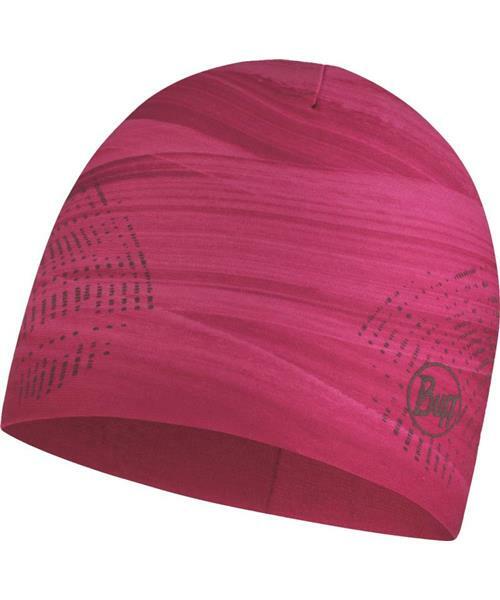 Reversible and comfortable hat with minimized seams. Ideal as a base layer for protection against the cold during outdoor activities like running, hiking or backcountry skiing. Made from new recycled microfiber with 4-way stretch. The highest level of protection against UV radiation. Some specially marked designs feature a 360° reflective print for more visibility in low light conditions. Hat pictured shows each reversible side.